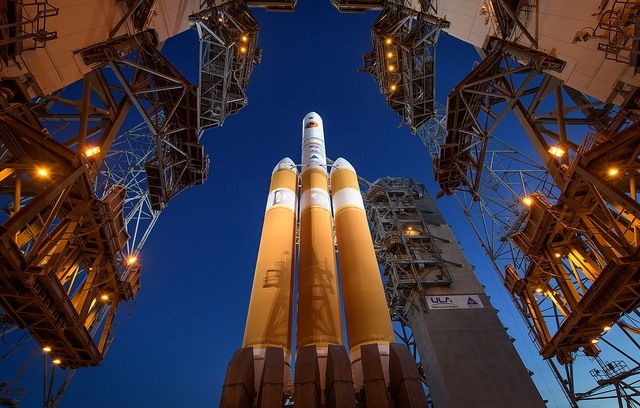 We've been partners in the United Launch Alliance since the early days of the Space Shuttle program, and now we're all over the external tanks for all unmanned spacecraft including the Delta IV Heavy rocket-one of the world's most powerful-that got this beautiful Parker Solar Probe on its way toward making history. The probe successfully launched August 12, 2018 at 3:31 a.m. ET Sunday from Cape Canaveral, Florida. At 5:33 a.m., the mission operations manager reported that the spacecraft was healthy and operating normally. The Parker probe will venture closer to our star than any other spacecraft ever. Parker Solar Probe will blast off toward the Sun with a whopping 55 times more energy than is required to reach Mars. "Recent advances in materials science gave us the material to fashion a heat shield in front of the spacecraft not only to withstand the extreme heat of the Sun, but to remain cool on the backside," said Adam Szabo, the mission scientist for the Parker Solar Probe at NASA's Goddard Space Flight Center in Greenbelt, Maryland.